Not to put too fine a point on it, but 2019 is going to be a monumental year for New York City and a high profile travel industry delegation, led by NYC & Company president & CEO, Fred Dixon, was in Toronto yesterday (Sept. 20) to let Canadians know all about it. Last year, 970,000 Canadians visited New York, making Canada the city’s third largest source of international visitation. In 2018, Canadian visits are expected to rise between 3% and 3.5%, and that will see Canada break the 1 million visitor mark for the first time since 2014. “It’s going to be an exciting year for New York,” Dixon told a gathering at the Hotel X Toronto, before offering them an overview of what visitors can expect from the city in 2019. Hudson Yards on Manhattan’s far west side is the largest private real estate development in the history of the United States. The Shed, a multi-arts centre dedicated to global displays of visual art, design and media. Vessel – a climbable urban landmark created by British designer, Thomas Heatherwick. As well, 2019 will see the opening of the new Statue of Liberty Museum which is expected to debut next May; and the opening of the TWA Hotel at JFK Airport in Queens. The Museum of Modern Art (MoMA) is undergoing a renovation and expansion that will increase gallery space by 30% and will enhance public spaces. The first phase of renovations is now complete and the next phase will be completed in summer, 2019. June 2019 is going to be a big month as the city welcomes WorldPride – marking the first time this event has been held in the United States. Dixon told his Toronto audience that New York City Pride attracts an average of 2 million a year, but the expectations for World Pride are that it will attract 3 million visitors over the 30-day event; with the majority of events being held from June 25 to June 30. He also noted that the LGBTQ celebration coincides with the historic 50th Anniversary of the Stonewall Uprising, the birthplace of the modern gay rights movement. In 2017, New York City welcomed a record 62.8 million visitors – the city’s eighth consecutive year for tourism growth, with 49.7 million domestic and 13.1 million international visitors. New York City remains the number one US destination for international visitation, visitor spending and economic impact. In 2018, the destination is expected to welcome 65.1 million visitors. Go to www.nycgo.com for more. 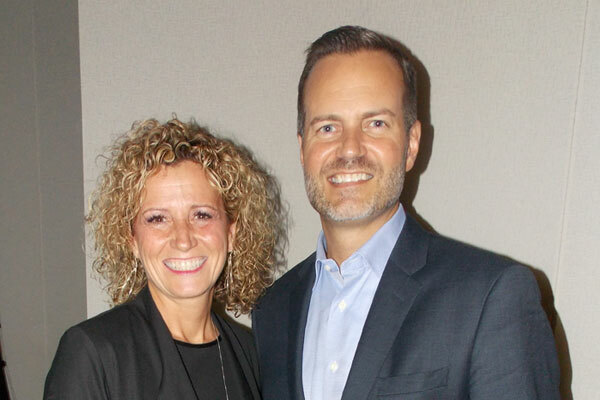 Tourism Toronto’s president and CEO, Johanne Bélanger joined NYC & Company’s president & CEO, Fred Dixon during a presentation at the Hotel X Toronto. A year ago, Toronto and New York City signed a two-city partnership agreement, that sees them cooperating in a number of key areas in an effort to boost tourism between the two cities.